Democratic presidential candidate and Vermont Sen. Bernie Sanders told thousands of supporters Sunday that he is the best choice to defeat Donald Trump in the November election. Sanders concluded a two-day campaign swing through San Diego County by speaking to an estimated 6,500 cheering fans at the Rancho Buena Vista High School stadium in Vista. Attendees began lining up outside the venue early this morning to secure their spot in the stadium. It’s not just the poll numbers that Sanders cited to make his point during his hour-long speech. 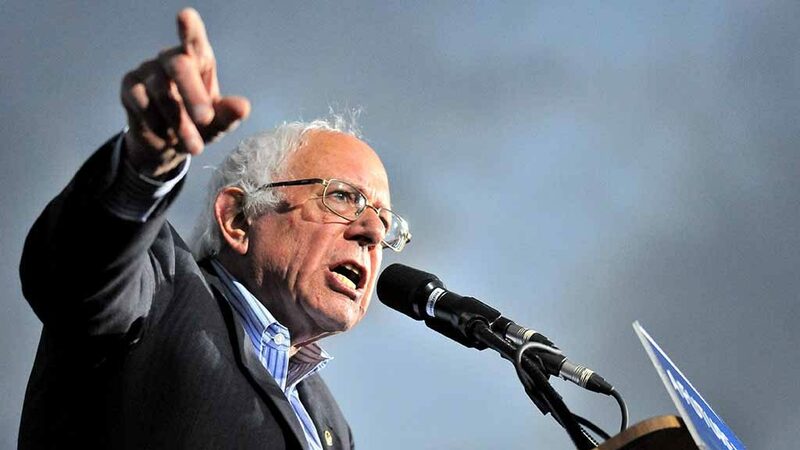 Sanders, 74, a self-described socialist who would be the nation’s first Jewish president, urged the crowd to vote for him in the June 7 California primary and to recruit others to do the same. It was his second public event in the San Diego area in two days. He appeared Saturday night at Kimball Park in National City. Sanders was scheduled to appear later this evening at the Irvine Amphitheater in Orange County. He is also scheduled for campaign events in East Los Angeles and Santa Monica on Monday, then at the Anaheim Convention Center on Tuesday. Sanders’ opponent for the Democratic presidential nomination, former Secretary of State Hillary Clinton, will be in Los Angeles for two fund-raisers on Monday, then public events on Tuesday and Wednesday before appearing in San Jose on Thursday. Real estate developer and reality TV star Donald Trump, the presumptive Republican nominee, is scheduled to appear at the Anaheim Convention Center on Wednesday and at the San Diego Convention Center on Friday.